If you are planning to host a Fourth of July barbecue with your friends and family, you are likely wondering how you can protect yourself and your guests from ants. These pests will get into and taint your food if you give them a chance, decreasing your guests' enjoyment and harming your event. Many people want to keep ants away but don't know where to start, and they feel hopeless when it comes to finding a solution. You won't need to worry about that problem when you follow the correct plan. Killing one or two ants when you see them won't do much when your goal is to safeguard your event from unwanted guests. Instead of looking for individual ants, you will want to search for and find any anthills that are on your property. If you don't know how to spot them, they are small mounds of dirt that can range from a few inches tall to several feet. Although you might be tempted to push over the anthill, doing so won't make a difference. After you have located the anthills in your yard, you are ready to make your move. Rather than trying to remove the mound, you must go inside your home and put soapy water into a small bucket or spray bottle. You will then go back to the anthill and cover it with the soapy water if you want to get rid of the pests without delay. Water won't harm ants because it will bounce off them, but adding soap to the mix changes things. When you use the right approach, the mixture will stick to the ants, prevent them from moving and make it hard for them to breathe. Addressing the anthills on your property will reduce the ant population near your barbecue, but it won't stop other invaders from wandering onto your property. Discourage ants from getting too close to your Fourth of July event by spraying vinegar near where your guests will be sitting. If you can't stand the smell of vinegar, you can dilute it with water before taking this step. Addressing anthills and spraying vinegar can take you far when you want to protect your Fourth of July barbecue from ants, but you can't eliminate the risk. 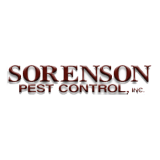 If you don't want to take unneeded chances this year, contact Sorenson Pest Control. Our experts will search for and destroy ants before they have time to cause problems, and you can call us right away if you are ready to start. Our service area covers a number of towns, including Paradise, CA, so be sure to take a look to see if we can make it to your location!